There are times that I am working on a tight deadline and don’t have time to purchase hardware via the traditional methods I use. That typically puts me in a situation where I need to go to an actual brick and mortar store to buy hardware, like Best Buy or Circuit City. This happened the other day, when I needed a new firewire card and wireless card ASAP. Should I just go out to Best Buy, find what I need, and waste an hour of my precious time? I didn’t want to lose the hour so I logged onto BestBuy.com to place an order and saw an apparent answer to my dilemma…Purchase online and they will have it ready at a store of my choosing in less than 1 hour. Perfect! Or was it? Read on. As I was placing my order in light speed (smoke was actually coming up from the speed at which I was typing), I noticed two very important pieces of information on the cart screen. ITEMS IN STOCK AT PRINCETON LOCATION. Excellent. This is too good to be true, I’ve placed my order in just a few minutes, it will be ready for pickup in less than 1 hour and I’ve saved myself approximately 45 minutes, which now can be spent cranking away on my deadline! The order goes through and I receive a few confirmation emails…so far, so good. Then another email comes through…this one is not so good. One of your items is not available at our Princeton location. What?? You just showed me an “ITEM IN STOCK” message in my cart. Surely Best Buy’s systems are good enough to check the inventory at the location in question, right? Obviously not. So, now I had a decision to make…do I go to the store, pick up my item that’s in stock, then browse the store for the other item and then have to pay for that separately? Doesn’t that take up more time than just running out in the first place?? Again, I’m working on a serious deadline. Oh yeah, do I take the chance of placing another order on the website for pickup, only to see it’s not in stock?? …after the site tells me it’s in stock? I’m not so confident anymore. Would you be? To make a long story short, I ended up taking the risk and ordering another item on the website. I waited for the email notification to come through telling me it was not in stock, but it was! Excellent. I flew out the door and picked up my items at the In Store Pickup Desk, which by the way, made up for some of the frustration I experienced earlier. It took 5 minutes to get my items and walk out the door. But here is my issue…I love the functionality on the e-commerce site, if it worked well. The ability for someone to purchase and then pick up in less than an hour is wonderful. That said, it has to work flawlessly (or close to flawlessly). Don’t show me an in stock message when it’s not in stock. I’d rather see a message that says “We need to check the inventory at the Princeton location” so my expectations are properly set. Web Marketing at Best Buy did a great job concept-wise, but someone didn’t ask the next question, “can our systems tell in real time what’s in stock at our locations?” Uh, that’s pretty darn important, don’t you think? I love that Best Buy gives you the ability to order online and then pick up at a store location quickly, but they need to polish off the process. 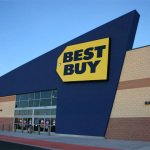 Personally, I always had a positive feeling towards Best Buy, then it was knocked down a little during this process, only to come back a little due to the positive experience with in store pickup. With a little more work and systems integration, the purchase online, in store pickup process can help gain customers, keep their current customers happy, and get them closer to truly meeting their customers’ expectations. *On a somewhat separate note, I had the wireless and firewire cards installed and working faster than figuring out my next steps during the ordering process! I hope my next experience with Best Buy is a little smoother.